Being born to conservative hippies, living on the urban fridge on Sydney's North Shore, in the late 1960's, I was educated to the value of trees very very early on. Growing up, the Australian bush was our playground and as a child, I spent countless hours 'down the bush', making cubby houses with my school mates. 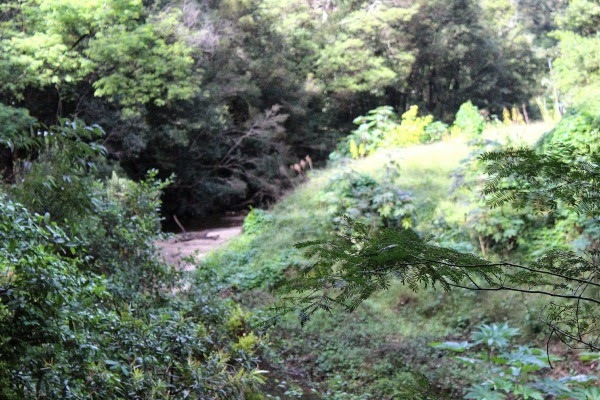 In the early days of my life, the upper reaches of the Lane Cove River were even clean enough to swim in and picnic beside. 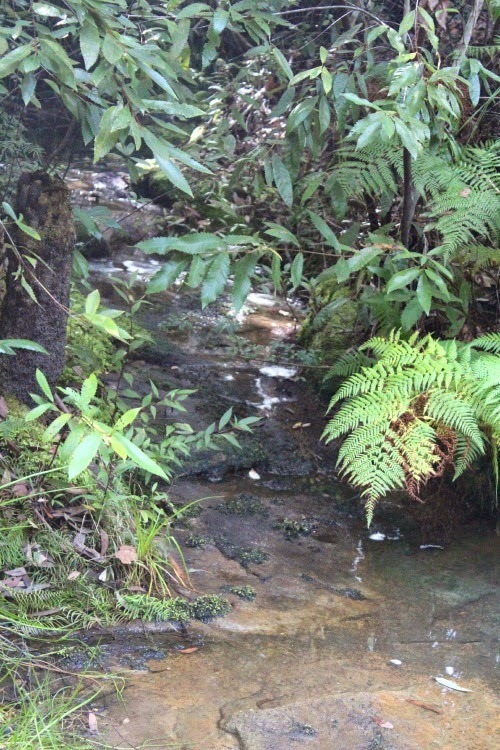 We didn't have a beach close by and before any of the houses had pools, we had the upper reaches of the Lane Cove River. Happily, it's still there and unlike so many of Sydney's original water ways, is not just a concrete drain now. Although this area of the river has been cleaned up alot lately, forty years on, I would not swim in it these days. Take a look. Urban development, my parents' house included, has caused it to silt up which has supported an explosion in the growth of weeds. But it wasn't always like this. All those years ago, our time in the Aussie bush was a wonderful combination of freedom and fun. Once our cubbies were constructed, we would play in them and talk for hours about our plans for the future. We even dreamed about moving in permanently. The more sophisticated the cubbies became, with seating, tables and food stashes, the more I thought I would like to live there forever. 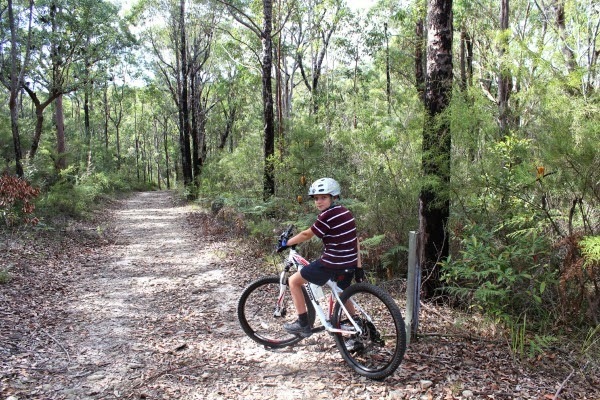 I grew up on a cul-de-sac with substantial bushland reserves at either end of the street and playing in that bush and exploring every track in those early years, has meant the Australian Bush is now part of my DNA. Today I love getting back down to my childhood haunts, with my own kids, whenever I can. That innocent freedom explored and developed in the rustic Aussie bush, meant we grew to love it very much. 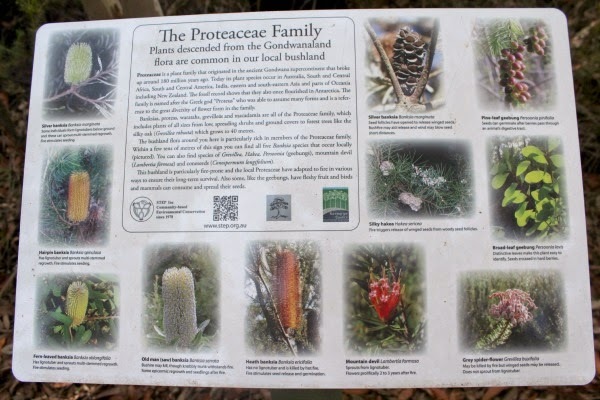 A sign in the bush at the end of the street inwhich I grew up and where my mother still lives to this day, tells me that some of the plants in the local bush, are descended from Gondwanaland flora. So in my book, that is an environment worth supporting and fighting for. And fight we did. My childhood is dotted with memories of my mum (and myself in some cases), standing in front of bulldozers a few streets away from our home, in an attempt to prevent some of the more devastating developments destroying the natural environment in suburbia at the time. 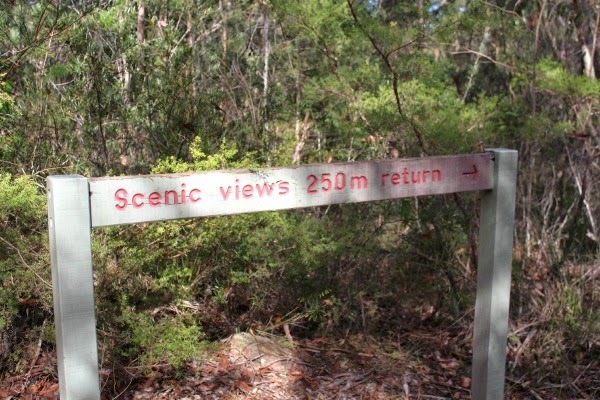 These protests were part of the green bans and protests that dotted the bushland on the urban frindges of Sydney in the 1970's. We have a lot to thank the housewives of the 1970's for. As we walked off to school and our fathers commuted to the city to work, the housewives, manned the barricades. Collectively those women saved and protected so much of the remnant natural environment of Sydney, for future generations. Those women were environmentalists before the concept became trendy and squarely planted in the political landscape, like it is today. Some of the battles were won and sadly, some were lost. But as a result of my association with nature and the value it created for my childhood, if I ever get a chance, I never ever miss an opportunity to put something back. To spread the word about how important it is to save what is left of the natural environment and to green our urban spaces, where possible and the joy that a green space can bring to a community. So it was with great pleasure that I attended an event for Planet Ark's National Tree Day, sponsored by Toyota, earlier in the year. It was just one day, but every day we can green our environment in some small way. 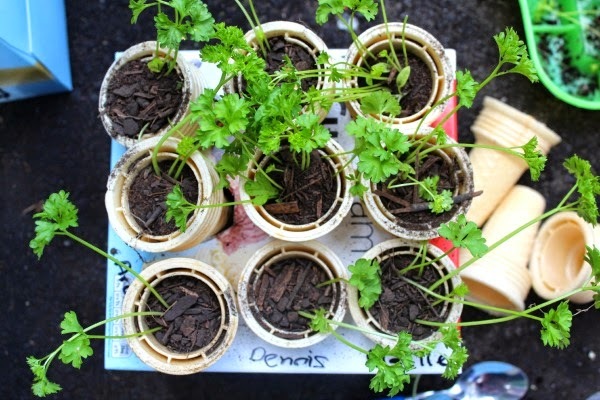 Just growing herbs on your kitchen sink, or in your garden, is a simple way to bring a little green into the world and make a contribution to greening the planet. For Planet Ark's National Tree Day, Toyota was putting something back too. Lets face it, most of us are addicted to our cars and that is not going to change any time soon, but greening a space however big or small, is a great way to make a contribution to a local environment and lighten our foot print on the planet. 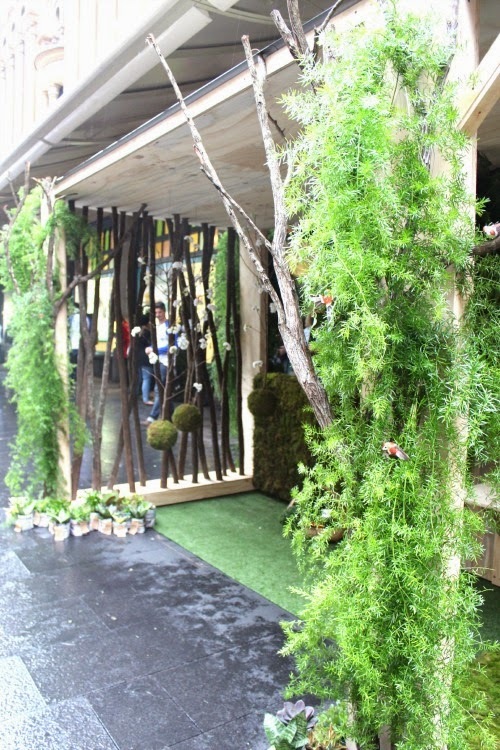 On the day, I arrived at this fabulous 'green' bus stop, which had been created as part of the event. Here's a hint of how gorgeous it looked, as I stepped off the bus in the heart of Sydney. It put a smile on my face. The commuters didn't quite know what was happening. 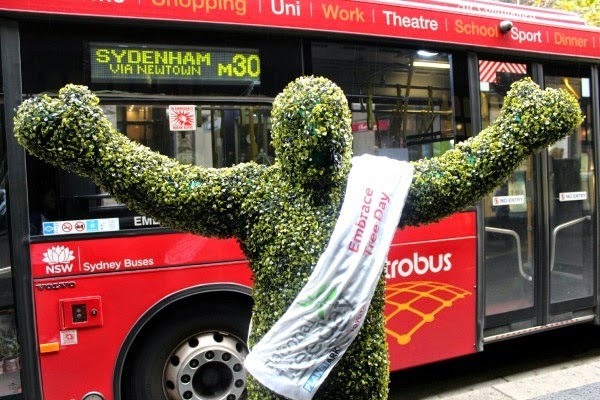 and what else greeted me as I got off the bus, but a tree man and a big hug. These days I'll take my hugs where I can get them. 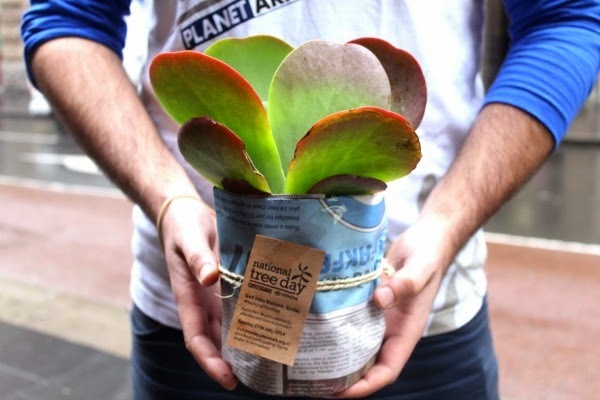 The people from Planet Ark, were giving away plants to commuters and inspiring them to turn their own grey spaces green. Check out this really cute video to see how beautiful the bus stop was and what happened next. 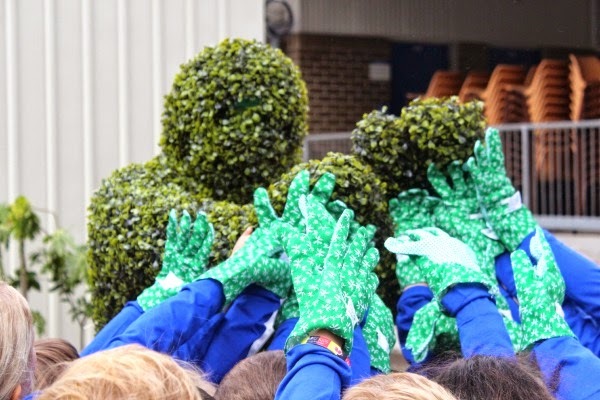 From there we hooked up with some kids and famous faces at a local school, to help turn a grey space green in their playground. The effervescent Costa was onsite, to educate the kids on how best to plant their new garden. 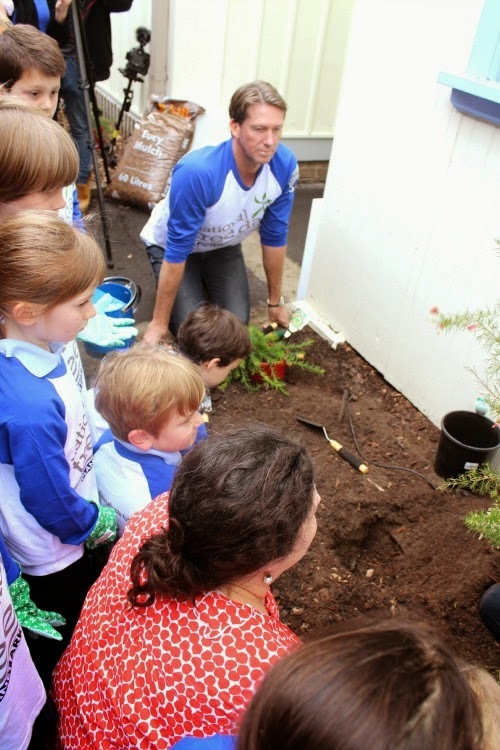 The enthusiasm of the kids in the creation of their new garden was priceless and it took me back to those days with my friends in the bush at the end of my street. Although we loved all that the bush had to offer, the natural environment was not an issue when I was this age and as a result, our generation has not been very kind to the trees. 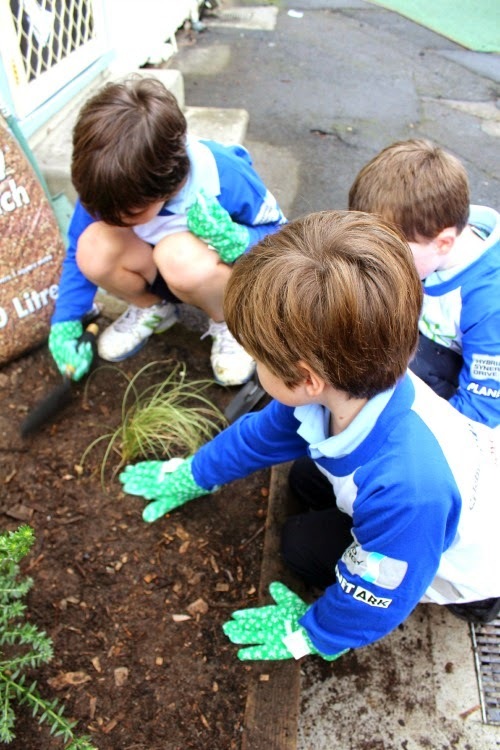 Lets hope these little guys get on board and learn from great community events like these, that making a garden and greening a grey space is a great way of putting back and lessening our footprint on this fragile planet. We are all in this together. National Tree Day is a great community event sponsored by Toyota and Planet Ark. Love that you scored a hug from "tree man"! Your childhood sounds so idyllic, I am sad for the children of today that miss out on all that freedom to explore and imagine. The area seemed very remote in those days, even though it is 45 minutes from town, and you are right, looking back it was really an idyllic childhood, for which I am eternally grateful. Our kids are so much more stitched up and less free today, I agree. Looking back it was a great childhood. Thanks Lisa. Edible plants......It's the way to go. Hi Caro, I always really enjoy reading your stories when you tell us about your own childhood and relate it to your kids growing up now and to all the readers too. Well done Toyota and Planet Art for not only putting a lot of effort into National Trees day, but also encouraging us to get into the fresh air more. And on that note... the twins and I are going camping to Narrabeen tonight, think of us when it pours!! That sounds lovely Seana. Enjoy.